If your PC can not connect to a Wi-Fi network, try removing the connection. This will allow your computer to start from the beginning and build a new connection. Make sure the wireless function of your PC is turned on. Some laptops have a switch, button, or a set of keys on the keyboard that can turn the wireless on or off. Right-click on the Wireless icon in the lower right corner of the screen and select View Available Wireless Networks from the menu. Click Change Advanced Settings on the left menu. Click the Wireless Networks tab. Under "Preferred networks," select the network you are trying to connect to, then click Remove. Click OK when complete. Double-click the Networking icon on the lower right side of the Toolbar. Click on Network and Sharing Center on the menu. On the left menu, click Manage Wireless Networks. Right-click on the ICON of the wireless network you wish to delete and select Remove Network (you have to right-click on the icon, right-clicking on the words will not work). Close all open windows, then click on the Start Button. Select Connect To from the Start Menu, and then choose your wireless network. 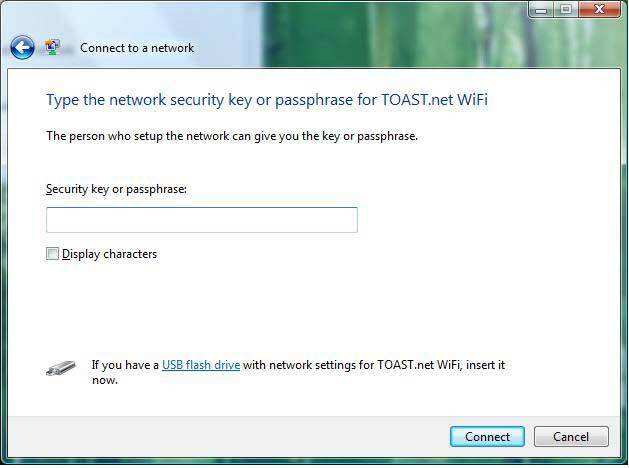 Enter your wireless password (located on your modem or indicated in your documentation. Click Connect. Your computer should now be connected to the Internet. Click the "Wireless" icon in the lower right corner of the screen, then select Network and Sharing Center from the menu. Close all open windows, then once again click on the Wireless icon in the lower right corner of your screen. Click on the appropriate wireless network on the list, click Connect, and enter your wireless password. Click in the upper right corner of the screen to show the "charms bar", then click the Settings icon. Click the "Wireless Network" icon (it should be labeled "Available if there is an available wireless network). Right-click on the wireless network you wish to remove and select Forget this network. Return to the upper right corner of the screen and choose Settings from the Charms Bar. Click the "Wireless Network" icon. The wireless network you just removed should be on the list. Click on it, then click Connect. Enter the wireless password supplied with your device. 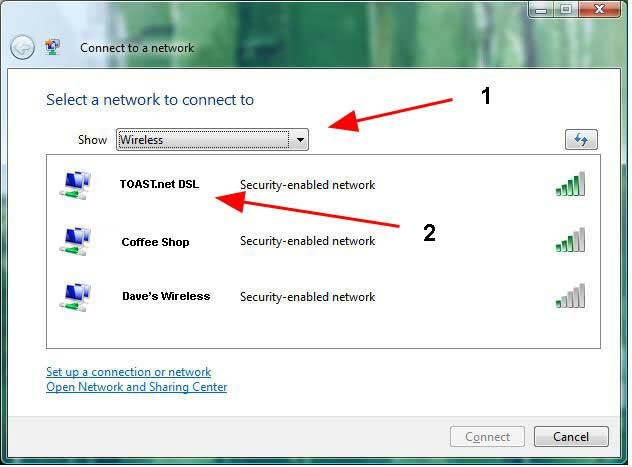 You may be prompted to share other devices (printers, other computers, etc) over your wireless network. Click yes or no depending on if you want to be able to print or share files between your computers. When successfully connected, you will see "Connected" on your Wireless Network list. Press the Windows key on your keyboard to return to your main screen. Setup is complete.